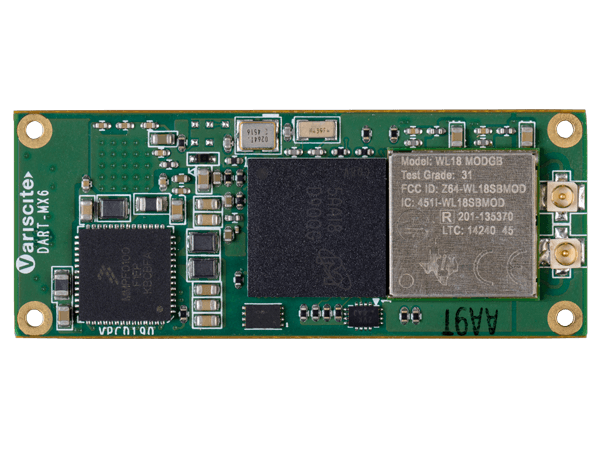 Measuring only 20 mm x 50 mm, the DART-MX6 from Variscite is the smallest System-on-Module (SoM) supporting NXP/Freescale’s i.MX6 Quad and Dual-core Cortex-A9™ processor. 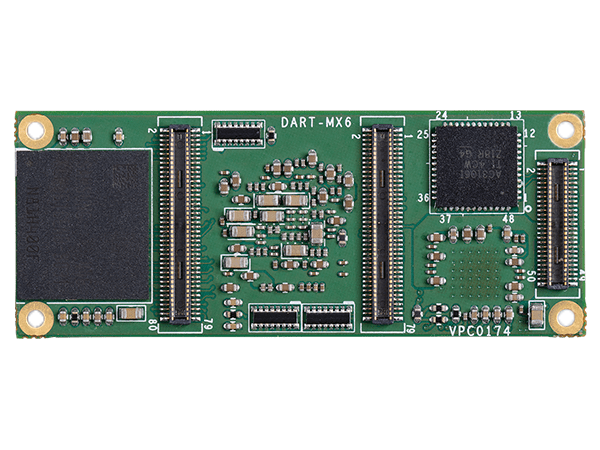 The DART-MX6 offers impressive performance and scalability. Together with optimized power consumption, this miniature sized SoM is ideal for portable and battery operated embedded systems. 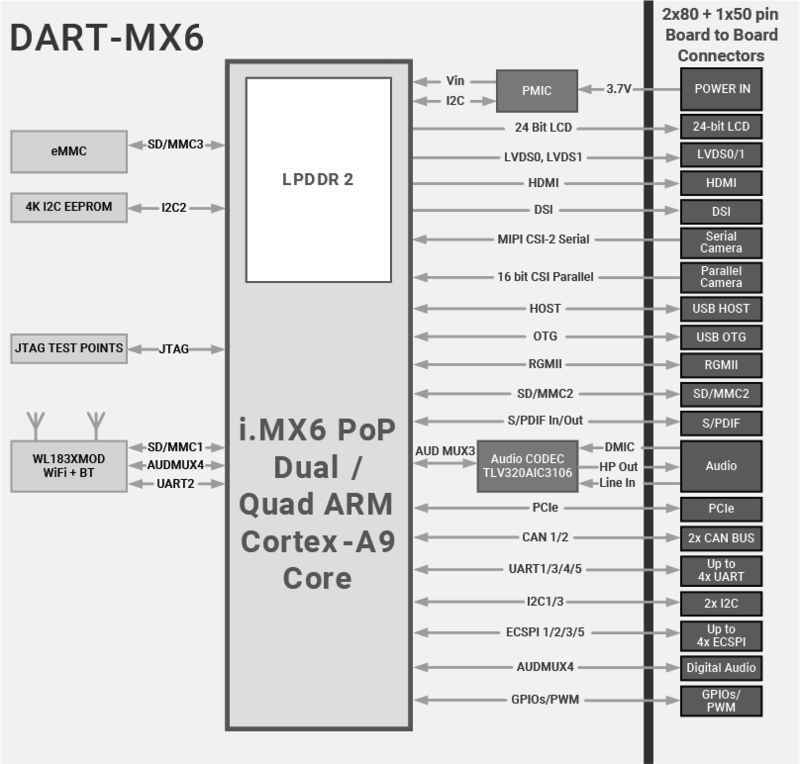 The DART-MX6 highly integrated connectivity includes dual-band certified Wi-Fi/BT with optional MIMO, dual USB, Gigabit Ethernet, PCIe and A/V interfaces. Furthermore, the system supports full -40 to 85 industrial operating temperatures. 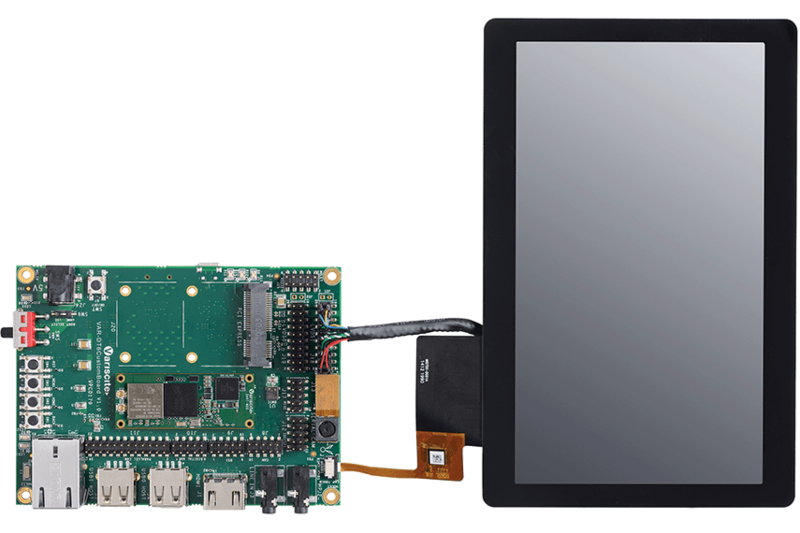 The DART-MX6 Development Kit and Starter Kit can serve as a complete development platform for both evaluation and application development purposes. The kits provide a great showcase of the DART-MX6 connectivity features and performance.